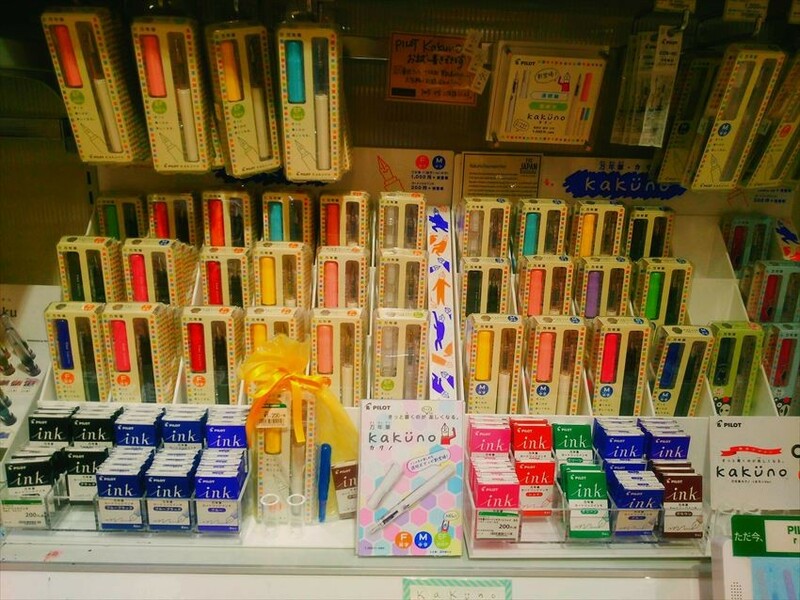 "Tokyu Hands" has a wide range of items such as daily used items, household goods, stationery, interior goods and craft supplies, cosmetic, etc. 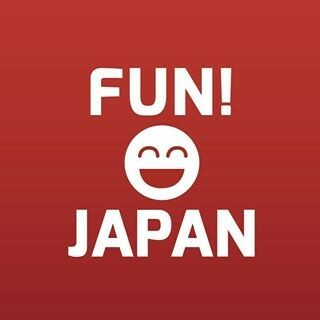 There are stores all over the country from the north in Hokkaido until the south in Okinawa, and is one of the popular shopping spots for foreign travelers. 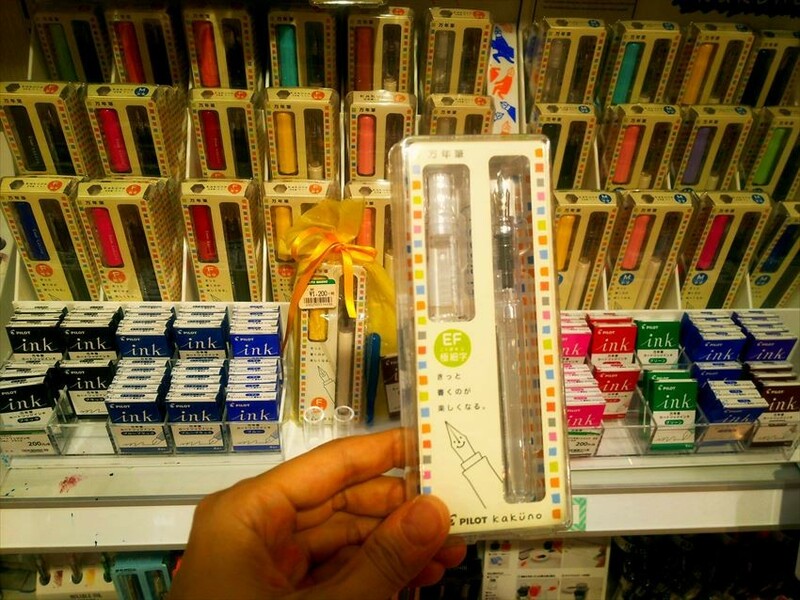 Among various products, especially the lineup of stationery is outstanding with the varieties. Fountain pens, ballpoint pens, highlight-pens, etc. are classified properly, with the attractive layout which is also easy to shop for a traveler. 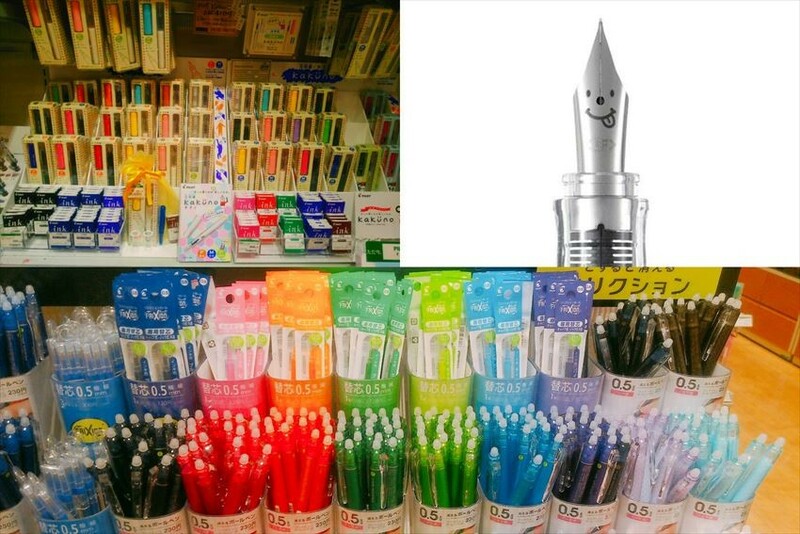 Today, we are going to introduce about "fountain pen" and "ballpoint pen"! It is a typical fountain pen that can be used from wide range from children to adults. This fountain pen is designed with many features. First feature will be the body shape of “hexagonal shape” which makes it easy to be hold and hard to roll down. Next, the hollow part of the cap. A small hollow dent of the cap allows you to open it without applying any force. The grip is a triangle shape that fits three fingers, which is easy to hold and is also a popular feature for the user. 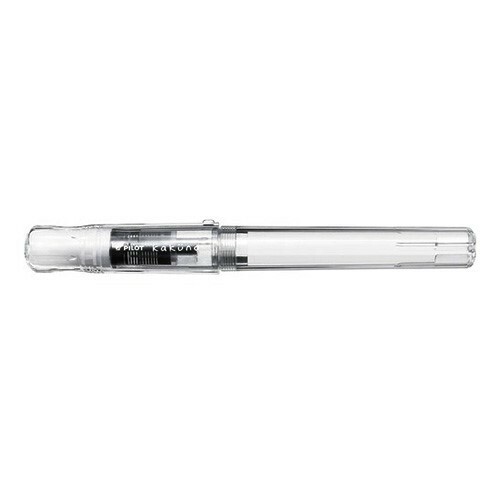 It is suitable for the modern people who has strong writing pressure, and the solid shaft which made of stainless steel has a transparent axis that let you know the remaining ink volume. In addition, please pay attention to the pen point. 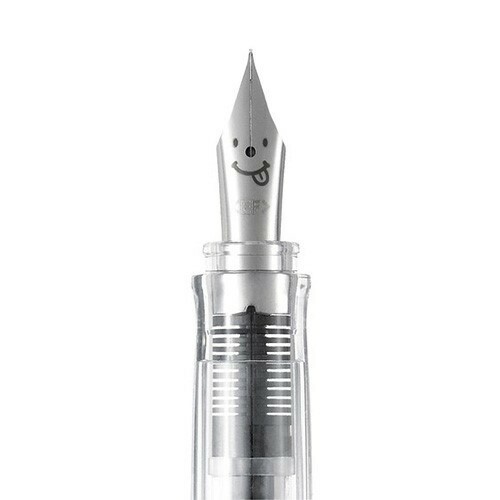 The pen point is made where you can easily know which one is the main surface, and also come with a cute smiley mark that stick out tongue. When we mention a fountain pen, some of you may think that the usability is bad, but this item is easy to use. All you need to do is just open the cap and insert the cartridge. If the ink is clogged or dried, you just have to wash the pen tip in water. In addition to the transparent, white color and black color photograph pattern, there are few types of grip color available which are orange, pink, etc. Please choose the one you like! 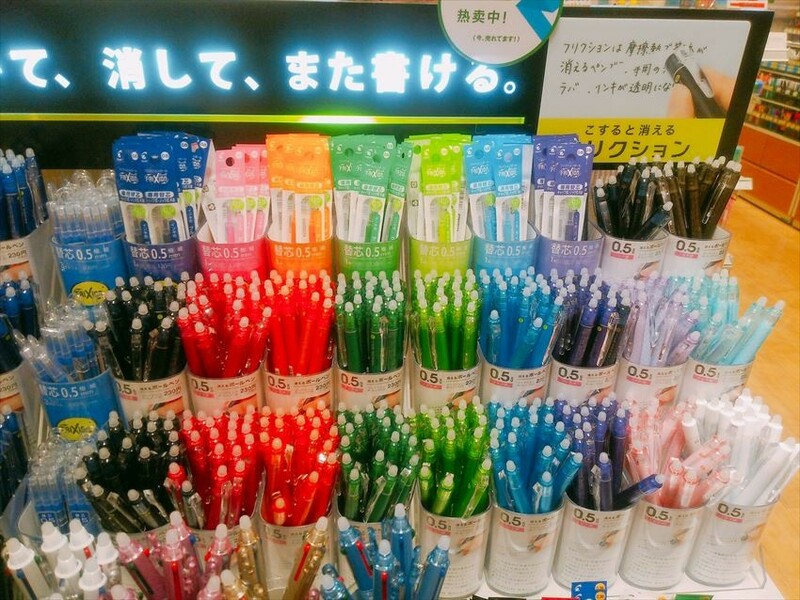 When friction ball pen just released in Japan, it became a hot topic. The feature is that you can erase by rubbing the written object with a special rubber. A frictional heat is generated and the color of the ink will becomes colorless and transparent. Moreover, even after you rubbed and erased it, there is almost no dirt left, and it is okay for you to write on the erased spot again. You can rewrite it any number of times as you like. This item is "knock type" of the friction ball. It is so easy since knock type is using the clip to erase. It can be used easily and quickly when you taking notes on a notebook and material. Another recommended feature is the "ON" status with color which appearing from a small window. There is an optional product of refill-core which you can buy separately and replace when the ink is finish. Total of 10 colors are available which are black, red, blue, green, etc. The pen tip is ultra-fine of 0.5 mm! 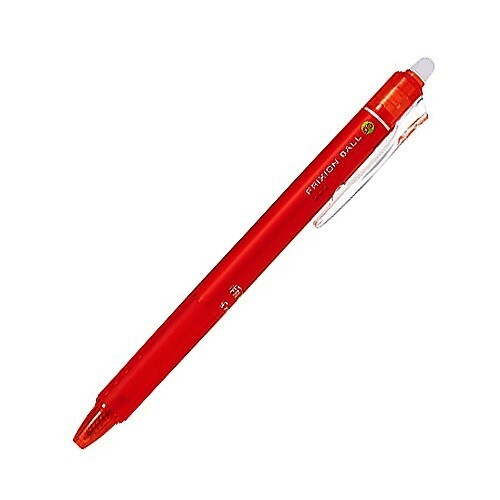 It is an aqueous style pen which is supported by professional designers, etc. With the lineup of total 95 colors, it is a twin type graphic marker with "0.8 mm polyester core" which can even write a neat and thin lines, and also the "Flexible Fiber Pencil core" that makes it like a brush. There are total of 12 tones for only monotone, and is flexible for the gradation. It seems to be also the popular item in the United States. Of course it is nice to be used for normal purpose also. If you pressed the brush tip against the paper you can draw a "tear drop" shape, and if you connect two "tear drops", you can easily draw a heart! You can draw a plump heart easily by just pushing the tip of the pen tightly against the paper. It is such a perfect stationery for you to decorate on a notebook or a letter with the stamp sensation.